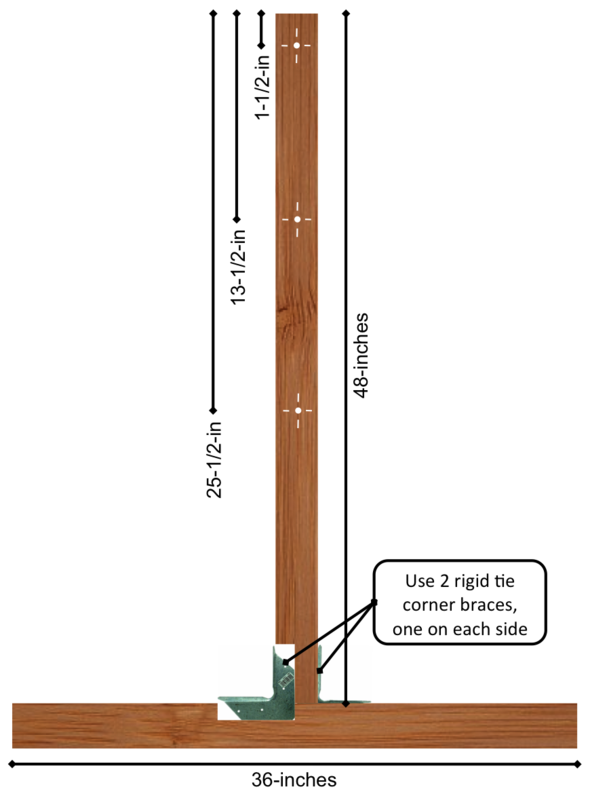 2) Cut the 8-foot 1×4 in half – these 4-foot sections are the vertical frame for the ladder. 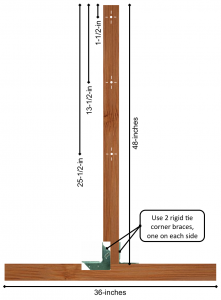 3) Use 2 corner braces and the Spax screws to attach the 4-foot sections to the center of the 3-foot sections. We first used Spax screws in 2008 and now use them on all of our projects. Their patented 4CUT™ point means no pre-drilling, no splitting, because the square end divides the fibers. We can’t recommend them enough – the design offers quicker and easier fastening in multi-materials: wood, sheet metal, masonry, and plastics. 4) Measure from the top of the vertical frames and mark the center of the board at 1-1/2-inches, 13-1/2-inches, and 25-1/2-inches. Drill 1/4-inch holes in the vertical frames at your marked locations. 5) Drill 1/4-inch holes in the center of the 3/4-inch PVC caps. Use caution – the caps are small and the drill bit may grab and cause the cap to spin. Use a large pliers or channel lock to hold them securely while drilling – wrap the caps with a cloth rag or piece of rubber to prevent the teeth on the pliers from gouging the PVC. 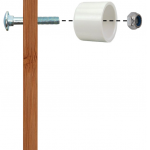 6) Thread the carriage bolts thru the wood and then the PVC cap and attach with the lock nuts. 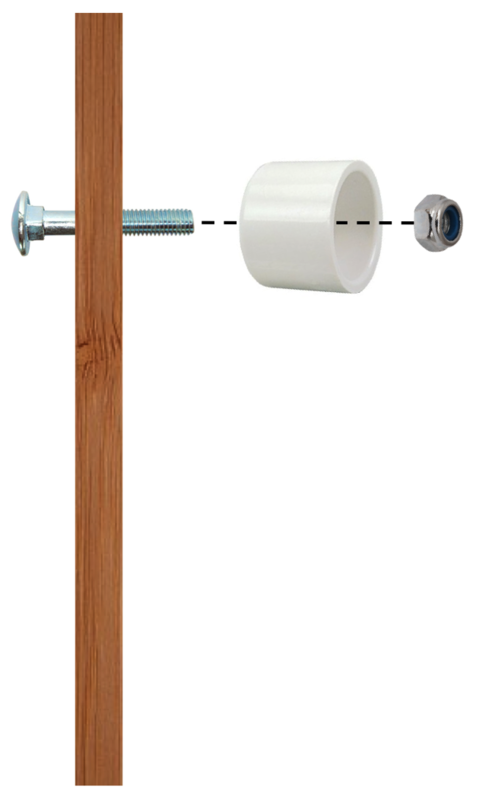 The smooth head of the carriage bolt should be at the wood, and the lock nut inside the PVC cap. 7) Paint the ladder frames your color of choice, try to minimize the overspray and not to get a lot of paint on the inside of the PVC caps. 8) Now put a 2-foot section of PVC pipe in each of the caps and tap the entire assembly together with your hand or a rubber mallet. The PVC caps should be snug enough for playing but still make for easy disassembly for moving and storage.